Roulette is a game, that has become the symbol of the gambling industry. There is hardly any person in the world, who will not remember of the emblematic red and black wheel when it comes to a casino game. Not to mention that every movie, which involves scenes in a casino, accentuates namely on the roulette table. The reason for this might be because roulette is the oldest game, played in casinos. The image of roulette wheel has become iconic to the gaming industry. To look back at the history of the game means to drive the time-machine and go all the way back to 17th century in France. Everything started with the invention of the wheel. The person, who is responsible for this great achievement is the French mathematician and physicist Pascal. His main intention was to invent a machine, which is in perpetual motion. Unfortunately, or luckily for the roulette fans, his attempt failed. Even though there are different speculations and theories about the real origin of the game, everything points out that namely France is the birthplace of the amazing game. The two French brothers Francois and Lois Blanc decided to develop Pascal’s initial idea further more. They followed the design of the wheel and established a game, which is known nowadays as roulette. In fact, the name of the game can hardly surprise anyone, since it means a “small wheel”. The wheel consisted of one single-zero pocket, till it crossed the Atlantic. The game has met many obstacles till it has touched the hearts of people around the world. As every great invention, roulette had been denounced many times, even declared as illegal in its own birthplace. That is one of the main reasons why the two brothers introduced the game in front of the European society. Unlike the hostility of France, the game was welcomed with open arms by the inviting European society. Thanks to the fleeing of the French immigrants, the game has made its way through to ocean to reach the American land. Firstly, it was represented in New Orleans during the time of the gold rush. The only problem with the game was the low casino profit. To increase the advantage of the casino over the players’ game, a second double-zero pocket was added on the American wheel. The game has been turned back again in France, after King Charles’ kingdom witnessed a decline. To increase the income of the country, the King removed the restrictions and even built a casino. Of course, roulette took a central place in the casino. Soon, the roulette tables became overcrowded, and the casinos in Monte Carlo accepted the wheel as a symbol of the casino culture. Thanks to its travel around the world, roulette has evolved in three main variations – American, European and French. The game is played by the same basic rules – the aim of every player is to predict the winning number as accurate as possible. Of course, that is only the basics, which is far from enough to join the roulette table straight away. One should be aware of all the peculiarities, which govern the different tables. Due to the advent of the modern technologies and the rise of the Internet, roulette is also available in every online casino. It is worth to try playing roulette online, since you can find some more interesting variations of the game, besides the three main ones. The interesting graphics and interfaces are something new on the horizon of the gaming industry. Before starting your online experience, first all players should read the terms and conditions, under which the casino is operating. If you are the type of person who doubts the modernization, online casinos have found their way to prove their credibility. Thanks to the option to play roulette with a live dealer, you can follow every detail of the game with the help of a high-definition video streaming. The game itself is held in a real time and managed by a real dealer. The players are provided with the opportunity to stay in touch with the super friendly dealers and the other players via live chat. The feeling, which you can get from the games with live dealers is the closest to the one in a brick-and-mortar casino. The only difference is that players save themselves the walk to the casino and enjoy the peace of their home. The building blocks of every roulette table are the wheels, betting layouts and the small marble balls. The wheel itself consists of numbered pockets, which represents the numbers from 1 to 36. One might be surprised by the fact that the American wheel has one additional pocket for the same numbers. The reason is that the European and French wheels consist only of one single-zero pocket, whereas the American wheel has two zero pockets. In fact, the main difference between the three variations of the game stems from the additional zero pocket, which can be found on the American wheel. The zero pockets represent the advantage of the casino over the game of the player. That is the reason why American roulette offers 5.26% house edge as opposed to the European one, which is almost half of it – only 2.7% (even 1.35% in certain cases). The presence of one zero pocket decreases the profit of the house significantly. Therefore, every versed player knows that the best option is to play roulette on a European or French table. At first sight, the additional pocket may seem to be an inconspicuous difference, but it affects not only the house edge, but also the possible chances for the player to win. Many inexperienced players are being entrapped by the idea that even-money bets offer equal chances. That is not close enough to be absolutely accurate. In fact, the chances are 18 to 19 – 18 chances to win against 19 possibilities to lose (18 numbered pockets plus the zero-numbered pocket), or i.e. 51.35% to lose and 48.65% to win for a single zero pocket wheel. On the American table, the players have 18 chances to win against 20 to lose, which means 47.36% to win and 52.63% to lose, i.e. 5.26% higher chance to lose. Besides the house edge, there are also some differences in terms of the arrangement of the table and the numbers on the wheel. This, in fact, does not cause any difference in the rules, of course. But it is essential to be mentioned, since these are innate features of the different variations of the game. It is not hard to recognize the different types of tables. In terms of rules, there is one major difference, which affects also the house edge. Some French tables offer the so-called “En Prison” and “La Partage” rule, which decreases the house edge to 1.35%. These are in effect when the ball falls in the zero-numbered pocket and you have placed an even-money bet. Then, the player is allowed either to split the bet with the house, or to leave the bet on the same outside bet for the next spin. Talking about roulette, it is impossible to overlook the fact that this game provides various betting options. In a nutshell, the layout consists of 2 main parts – “inside” part, representing all the numbers on the wheel and “outside” part for placing bets on a particular category of numbers. Thus, there are 2 major types of bets. The “inside” bets are placed on a particular number or group of numbers, while the “outside” bets cover bigger section of the layout, since these cover a whole category. Based on that grounds, it is reasonable to say that the outside bets are way safer. Unfortunately, in this case, safety comes at a price and that is lower payout than the inside bets. The French table offers also the well-known “called bets”, which are inherent to the French variation of the game. These are placed on all the numbers of a particular section of the wheel. Being a combination of split (on two numbers) and straight-up (on one number) bets, these can appear to be difficult for the inexperienced players. That is the reason why the dealer places these bets upon the player’s request. One of the reasons why roulette is such a popular game is its simplicity. The bets are easily placed by use of the layout. The player just needs to stack the chips on the preferred section of the layout and to wait till the croupier announces the winning number. When placing bets, players should take into account the minimum-to-maximum limits of the table and comply their stake with them. When the dealer tosses the ball, there is no power which can control it. Therefore, roulette is often referred to as a game of chance. Of course, luck has a finger in the pie, but the seasoned players know that the right plan can save their bank account. The thrill of gambling often gains the upper hand over common sense. That is why it is highly recommended to stay disciplined and control you bankroll. The best plan is to set yourself a loss limit and a winning goal. No matter which one you reach first, you need to end the game. Before you start to win, you need to know how to lose! Many advanced players, though, follow also a strategy. As mentioned above, it is impossible to predict which pocket the ball will choose to settle in. So, under the term “strategy”, the players should understand a betting strategy, which the players stick to. Thus, there are two major strategies, which can be outlined – negative and positive progression strategy. In fact, these two represent just the opposite manner. With the negative progression system, the players increase the stake after every loss and decrease it after every win. It may sound totally illogical, but the idea is to get back all of your lost money with a single “strike”. The problem is that no one can predict when the bad luck will cease, so the players risk bumping into the maximum limit of the table very fast. The positive progression system requires the bet to be increased after a winning and to be decreased after a loss. The idea is to protect yourself from consecutive losing streaks. Do not rely on the belief that since the ball land 4 times on a red pocket, the next spin will give you black pocket. There are different subtypes of these strategies. Some of them are easier to be followed, while the others are used only by advanced players. The universal truth about winning roulette is just to know how to manage your bankroll properly. Be modest in placing the bets and stay within the limits, which you have set. Remember to use only the money, which you do not need to pay the rent or the bills. Think of this money like spend and do not count on the idea to become rich with a single spin of the wheel. One of the things that make roulette such an exciting game is its extraordinary wheel. Nowadays it is possible to play roulette games that feature either a single-zero or a double-zero wheel. You can easily tell them apart by simply counting the green pockets on the respective wheel. The reason why it is highly recommended to be able to recognise both types is that your odds of winning greatly depend on the wheel in use. In general, the games that feature a double-zero wheel are less beneficial for you as they significantly increase the house edge. Also, the numbers on the wheel are not randomly arranged as they are placed according to a specific pattern. Even though roulette is regarded as a game of chance, many players still try to find out whether the ball follows any pattern. They consider the outcome of the previous rounds and search for a connection between them. However, the truth is that every time the ball is spun, your odds of winning are always the same, regardless of the previous outcomes. Another popular concept among many roulette players is that at some point during the game some numbers become hot. In other words, they have won several times in a row. 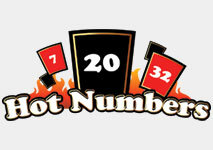 Many casinos even display the current hot and cold numbers so that players can keep track of the previous outcomes of the game if they wish. Roulette is one of the few casino games which is perfectly suitable for applying a betting system. Throughout the years, a number of betting systems have emerged, some of which were specially designed to be used in this game. All of the betting systems offer you the opportunity to place your bets according to a specific plan and this way, decrease your losses as much as possible. Some of them even give you the chance to turn a profit and walk out of the casino with more money in your pocket. Several types of betting systems can be distinguished – positive and negative progression systems and flat betting systems. Some of the most popular betting systems for roulette are Martingale, Labouchere, Parlay, Fibonacci and D’Alembert. No matter whether you are a seasoned player or a novice one, you will be able to learn a betting system as they differ from one another in terms of level of difficulty. However, all of them give you the opportunity to follow a plan according to which you can place your bets and this way enjoy the gaming process more. A great way to enhance your gambling experience is to participate in a roulette tournament. Nowadays a number of casinos hold such events exclusively for their roulette players. In them, you have the chance to compete against other fellow players and win great prizes. In some events you don’t even have to take first place in order to be rewarded for your participation. You can take part in different types of roulette tournaments, depending on the casino of your choice. Sometimes the winner is the player who manages to win the most chips for a set time, whereas in other cases your main goal is to collect as much chips as possible during a set number of spins. Presently, two exclusive variations are gaining in popularity among roulette players all over the world – 3D Roulette and Progressive Jackpot Roulette. Both games give you the chance to diversify your online gambling experience and enjoy the game like never before. Progressive jackpot roulette games feature an exclusive jackpot whose amount grows every time someone plays. Thanks to this exciting game, you have the chance to win big while playing roulette. 3D roulette games feature extraordinary and realistic graphics and sound effects thanks to which you can get a really genuine feeling of the game. These innovative games are provided by some of the leading software providers in the gambling industry such as Microgaming and Playtech. Nowadays almost every online casino has a mobile platform which is suitable for various modern mobile devices. No matter whether you have an iPhone, iPad or an Android device, you will be able to play roulette at any time and place. It is no longer necessary to go back home in order to play roulette as now you can do so on the go. Mobile casinos offer you the convenience to choose when, where and how to play roulette. You can either use your tablet or smartphone in order to place real-money bets on the numbers of your choice. It is possible to enjoy the game by accessing the casino website directly via your most trusted browser or by downloading the app of the respective casino. Both options are very convenient and handy and it is entirely up to you to choose how to play. You can play roulette at various online casinos as it is one of the most popular games of all time. In order to be able to win real money, you need to open an account at an online casino and make a deposit. Usually, you are given the opportunity to choose from a wide range of payment solutions so that you can choose the one that suits your needs best. However, before you risk your own funds, it is best to take into account all of the game’s aspects and subtleties. If you are fully prepared for the gaming process, you will be able to make better choices for your bets. It is also essential to get familiar with your odds of winning and the house edge in advance. If you are more of a risk taker and you love applying a more aggressive approach for your bets, roulette is the perfect game for you as most versions have an extremely high table limit. Most online casinos highly cherish high rollers so it shouldn’t be much of a surprise that a great number of web-based casinos offer high stakes tables.